I’m from Boulder, Colorado, a city with one of the most beautiful mountain backdrops of anywhere in the world. 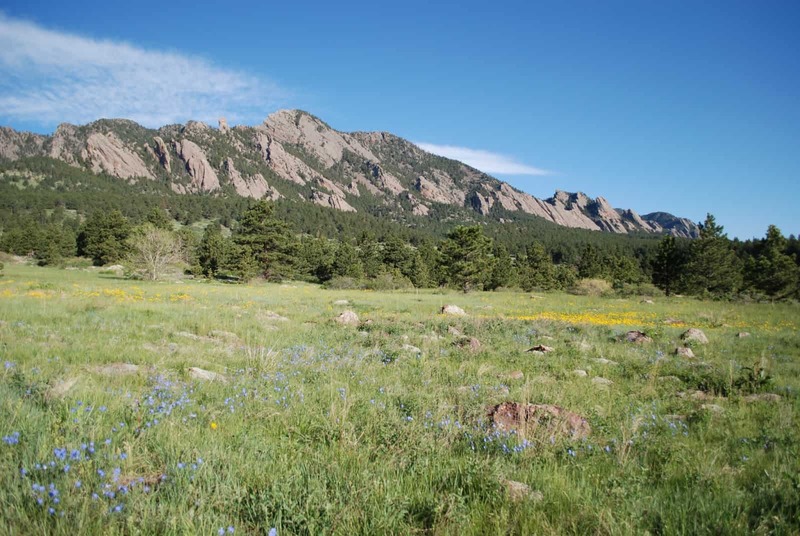 To the west of the city are The Flatirons, red rocks jutting up at spectacular angles in the foothills of The Rocky Mountains, to the east are great expanses of grasslands, that expand beyond the horizon like and ocean of grass. I am lucky to have been raised looking at some of the most beautiful mountains in the world, and when I am away, I miss my mountains like a dear friend. 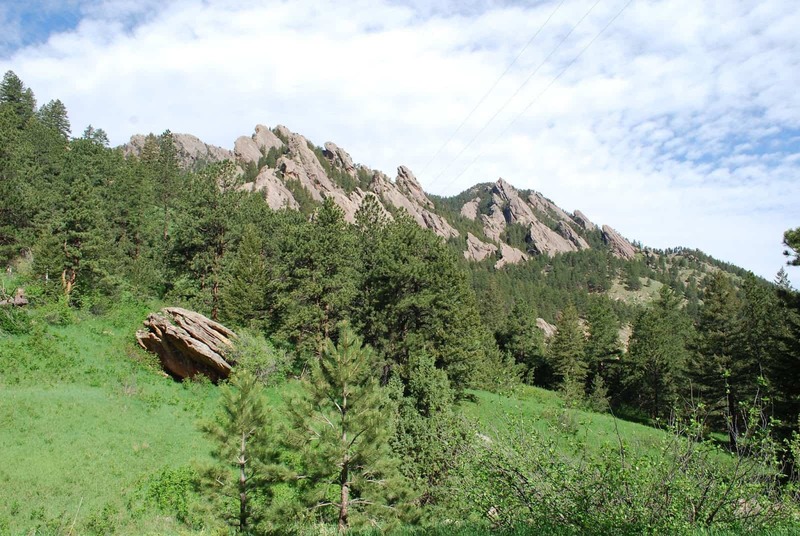 The Flatirons are unique, sharp peaks jut towards the sky, red sandstone contrasts with the green pine trees, and yellow hill sides. The sky is usually blue, with unique clouds shaped by the sudden transition from grassland to mountains. The palate of colors required to capture The Flatirons is more broad then any other set of mountains I have ever seen, and the variation of colors depending on the time of day, or time of year keeps them ever present in any Boulderites mind. This memorial day weekend, I took the time to appreciate our spectacular mountains. 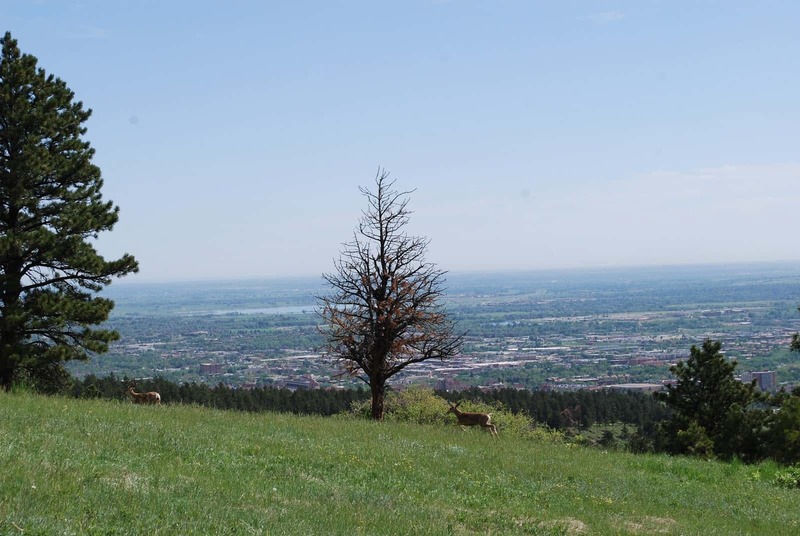 We hiked all of Mesa Trail a 6.7 mile long hike that runs the base of the Flatirons, and offers amazing panoramas of the City of Boulder. Every year on memorial day, our city has a 10k race (6.2 miles) called the Bolder Boulder, more then 50,000 people participate in the race, and enjoy our towns annual Creek Fest. I didn’t participate in the race, but still wanted to celebrate my home town, by walking a long distance. Ben, my Dad, and I started our hike at a little after seven to avoid the heat. The morning sun was lovely, and as we climbed the up the first hill, we saw hot air balloons floating off past the city limits. The hillsides are vibrant this time of year, and the wild flowers couldn’t be more magical (or fragrant). It is a treat to all the senses to hike this time of year. Sometimes I wonder how I could ever want to leave such a beautiful place. It is hard, and I don’t think I could ever permanently live somewhere without mountains. Ben and I were so excited when we found out we would be living in Yamanashi, as the Yama in Yamanashi means mountain. The mountains there were so different from Boulder, that it was hard to refer to them under the same term, theirs were round, lush, and green, ours are sharp, dry, and colorful. I do miss the mountains there, especially Mount Fuji, and so today to I spent hours looking for beautiful pictures of the mountain.